Well, if you still own your PS3, and you really should keep it, then the next title in the Atelier series will land on March 11, 2014 in the US. There are 2 very interesting 1sts in this game. It will run using Tecmo Koei's Dynasty Warriors engine AND you will be allowed to choose between Escha or Logy giving you a unique experience with each! Full PR and more screen shots after the break. THE LATEST INSTALLMENT OF THE ATELIER SERIES, ATELIER ESCHA & LOGY ~ALCHEMISTS OF THE DUSK SKY~ WILL BE RELEASED IN NORTH AMERICA IN MARCH 2014! BURLINGAME, Calif. – October 24, 2013 – Today, TECMO KOEI America is proud to announce that the latest installment in the long-loved Atelier series, Atelier Escha & Logy™ ~Alchemists of the Dusk Sky~, the direct sequel to the last title, Atelier Ayesha™: The Alchemist of Dusk, will be released in North America on March 11, 2014 for the PlayStation®3 computer entertainment system. This latest installment will provide an extended gameplay experience with two protagonists’ stories—Escha and Logy. For the first time in the Atelier series, Atelier Escha & Logy ~Alchemists of the Dusk Sky~ lets players choose their main character, either Escha or Logy, which will offer unique story perspectives and gameplay experiences. 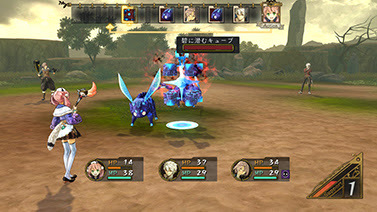 Escha’s story focuses on the traditional alchemy RPG and everyday adventures of an alchemist that Atelier series fans love, whereas Logy’s story is a more serious adventure focused on world exploration. 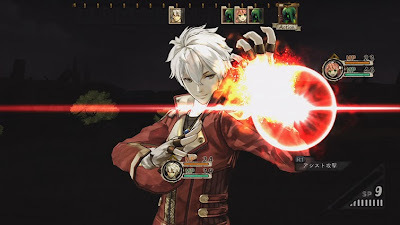 Atelier Escha & Logy ~Alchemists of the Dusk Sky~ was developed with the same engine Tecmo Koei uses in the Dynasty Warriors® franchise in order to make the game experience more seamless than ever. Atelier Escha & Logy ~Alchemists of the Dusk Sky~ game features include: Two protagonists, two stories, more gameplay. Depending on which protagonist a player selects, the story and events will unfold from different perspectives. 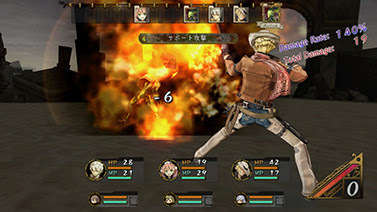 For players who enjoy the traditional Atelier series, Escha’s story will fulfill their alchemy RPG needs! For players who enjoy a classic RPG, or are newcomers to the series, they can choose Logy’s story to begin their journey in the Atelier universe! 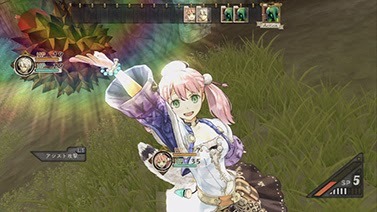 For more news about Atelier Escha & Logy ~Alchemists of the Dusk Sky~, visit http://www.facebook.com/ateliergames and http://www.tecmokoeiamerica.com. And don’t forget to “like” us on Facebook at www.facebook.com/koeigames. TECMO KOEI AMERICA CORP. is a publisher of interactive entertainment software for current generation consoles, handhelds and digital download content based in Burlingame, California. 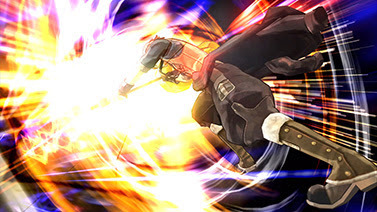 The company is a wholly owned subsidiary of TECMO KOEI HOLDINGS CO., LTD., headquartered in Yokohama, Japan. TECMO is best known for the Dead or Alive®, Ninja Gaiden®, Tecmo Bowl®, and Fatal Frame® series. KOEI is best known for its Dynasty Warriors® and Samurai Warriors® franchises. On April 1, 2009, TECMO KOEI HOLDINGS CO., LTD was established as a result of the TECMO, LTD. and KOEI Co., Ltd. merger.